Hit Makers (2017) looks into the cultural phenomena of popularity and fashion, as well as the science behind them. These blinks offer an up-close examination of why some products, songs and works of art take off, while others fade into the past. 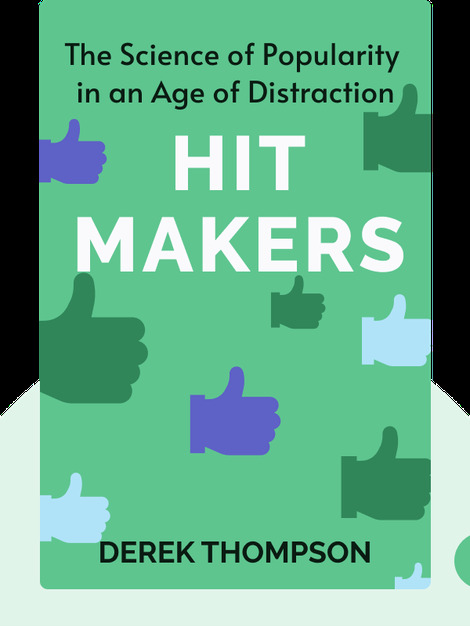 Derek Thompson is a senior editor at the Atlantic, where he focuses on media- and economics-related topics. He is a regular voice on radio, appears often on television and was named in Forbes’ “30 Under 30" list. 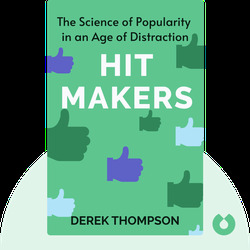 Hit Makers is his first book.